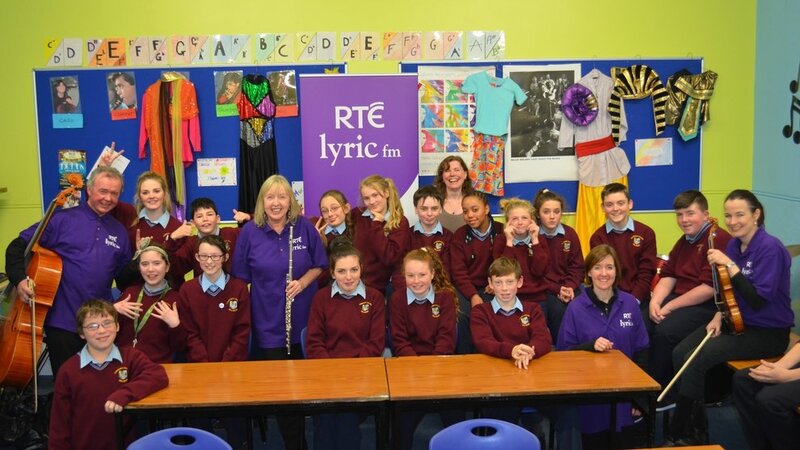 RTÉ lyric fm is delighted to continue it's new stream of outreach activity. ‘Music for all Ages’ is an engaging and entertaining RTÉ lyric fm outreach programme of live music performances, taking place in educational and community settings. The team will visit Primary Schools, Secondary Schools, Third Level Institutions, Care Homes and Libraries in County Kerry, May -. The concept behind this project is "Life-long learning: listen, engage, enjoy." The programme is presented by the RTÉ lyric fm Quartet led by presenter Evelyn Grant (flute/piano), Mary McCague (violin/piano), Jean Kelly (concert harp) and Gerry Kelly (‘cello). *We are now fully booked and applications have closed. People everywhere are working on their New Year's resolutions so Liz and special guests Dr Hilary Moss (UL), Dr Jennifer Wilson O'Raghallaigh (Mindfulness and Relaxation Centre at Beaumont Hospital) and the RTÉ Concert Orchestra conducted by David Brophy join forces for a special programme as they discuss music and relaxation. In this programme Liz Nolan discusses music and fitness with special guests Michele McGettigan (Health Promotion Manager at Beaumont Hospital), Rebecca O’Connor (Senior Music Therapist at the National Rehabilitation Hospital, Dun Laoghaire) along with the RTÉ Concert Orchestra, conductor Stephen Bell and pianist Fiachra Garvey. In the final programme of the series, Liz chats to Sophie Lee and Dr Siobhan MacHale (Liaison Psychiatry at Beaumont Hospital) with the RTÉ Concert Orchestra for a special programme as they discuss music and sleep - live from Studio 1 in Donnybrook. For Leaving Certificate students, Tom Redmond presents a step-by-step guide to Tchaikovsky’s Romeo and Juliet Fantasy Overture, highlighting key themes and sections, with excerpts, and concluding with a full performance by the RTÉ National Symphony Orchestra. Download the programme notes for teachers and students here, and find out more about the Music In The Classroom programme here. Back by popular demand, Musical Adventures, the RTÉ National Symphony Orchestra’s fun concerts for children aged 8-12, presented by the acclaimed music animateur, presenter, broadcaster and general master of musical mayhem and lots of fun, Mr Tom Redmond! See below for the programme notes, which include information for students and lesson plans for teachers. The internationally praised music educationalist and horn player Tom Redmond and the RTÉ National Symphony Orchestra guide students and teachers through a selection of set and selected choice works. The programme features The Marriage of Figaro Overture (Mozart); Morning Mood, Anitra’s Dance and In the Hall of the Mountain King from Peer Gynt Suite No. 1 (Grieg); a movement from Winter, The Four Seasons (Vivaldi); Hoe down from Rodeo (Copland); The Imperial March from The Empire Strikes Back (John Williams) and The Young Person’s Guide to the Orchestra: Variations and Fugue on a Theme of Purcell (Britten). Download the programme notes for teachers and students here.